To make the process super easy, print off a template. 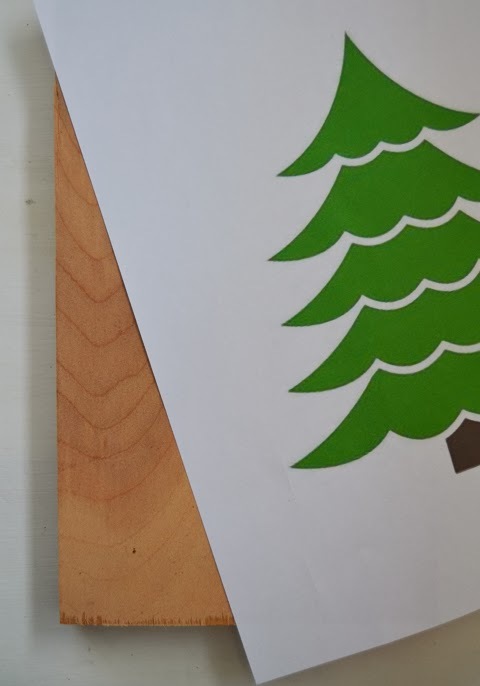 I found a simple Christmas tree online and sized it to fit my board. 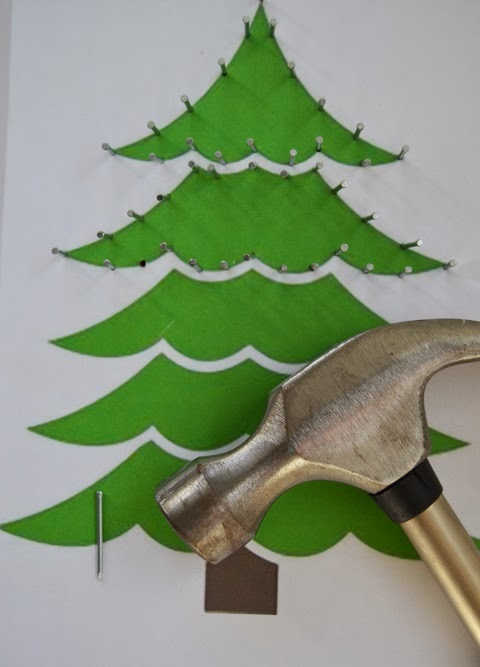 Hammer the nails into the board following the outer edge of your template. This was a project that was perfect for my handy little three year old to help out with. I started the nails and he finished them. Once all the nails are in place, tear off your template from the board. Remove any stray pieces of paper. 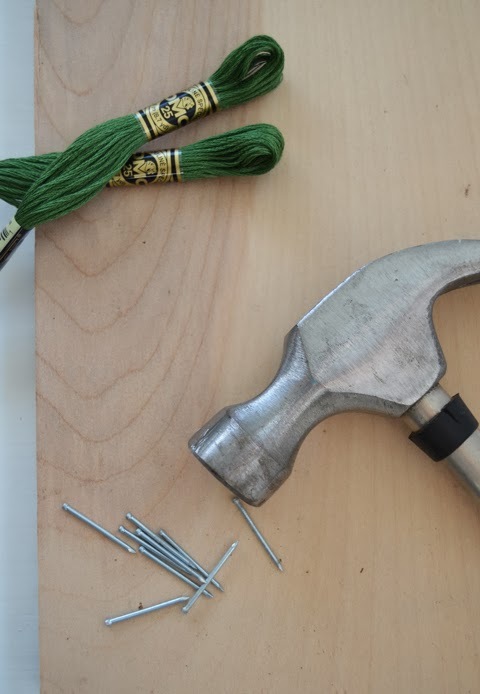 Start stringing your thread by tying it onto the first nail - double knot it to make sure it is secure. Trim off any extra thread. 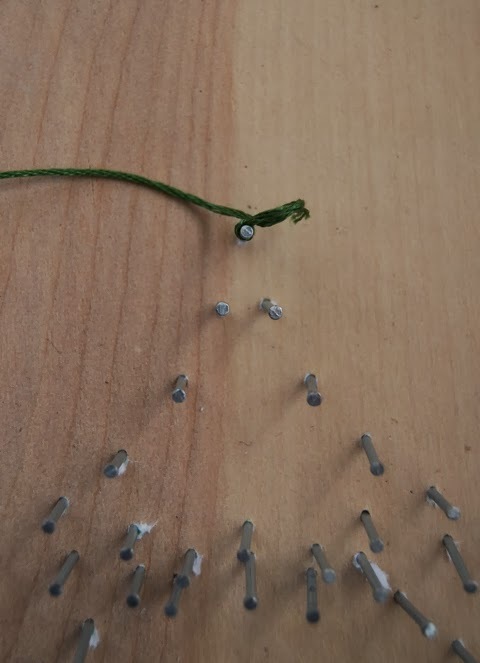 Thread the string around the nails, starting with the perimeter and then filling it in by stringing it across diagonally. There's no real pattern that I stuck to - it was a wing it type of project. 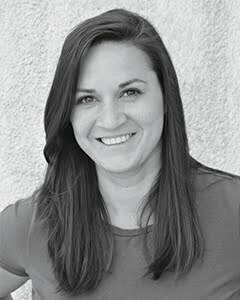 Once a section is complete - tie it off and trim off the end. Repeat until all sections are filled. 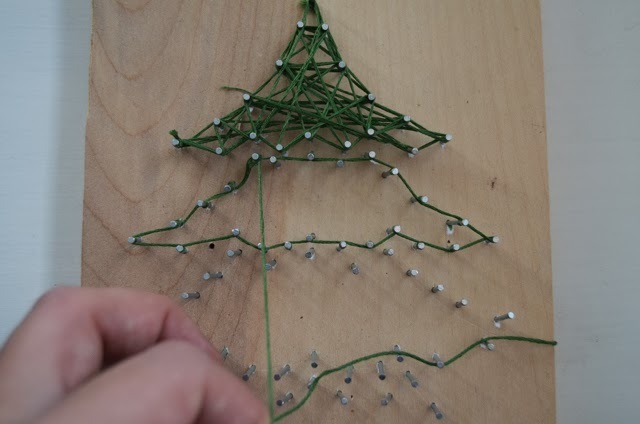 This DIY Christmas Tree String Art sends me straight back to grade school. 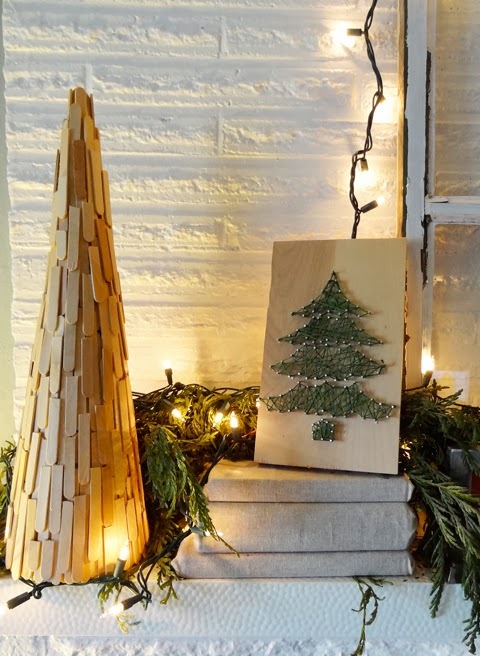 It's simple enough for a youngster to create but totally on trend right now. 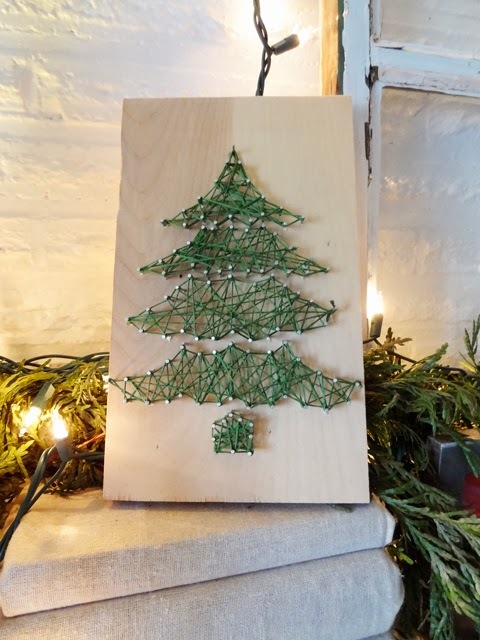 Have you noticed all the string art projects? I especially love the kids names or quotes but they all require much more effort! 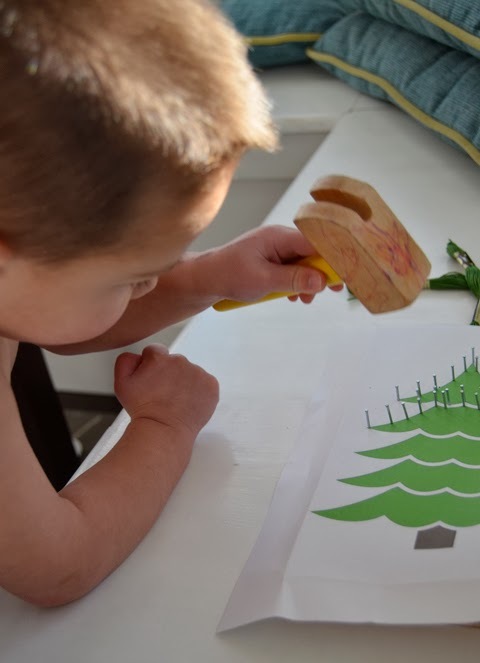 So, what holiday crafts are you tackling? 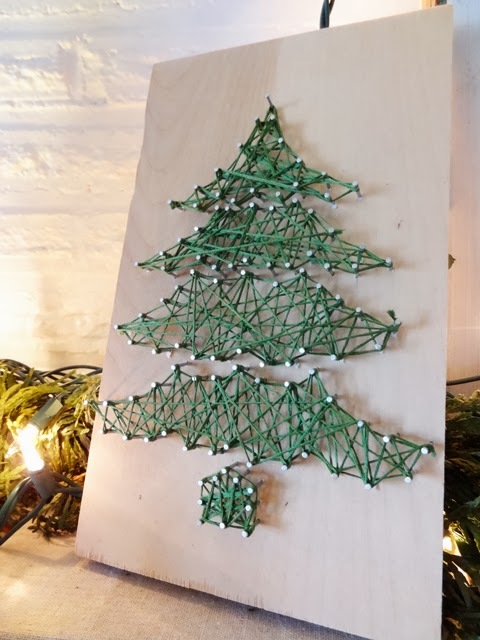 Have any #fabulouslyfestive projects of your own to share? Let's see 'em in the comments section. Or do you need some inspiration? 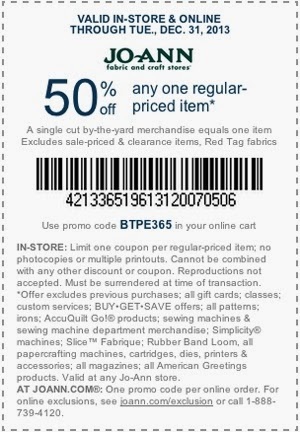 Check out Jo-Ann Fabric and Craft Store's website for ideas and craft supplies and be sure to use this 50% off coupon in stores and online! 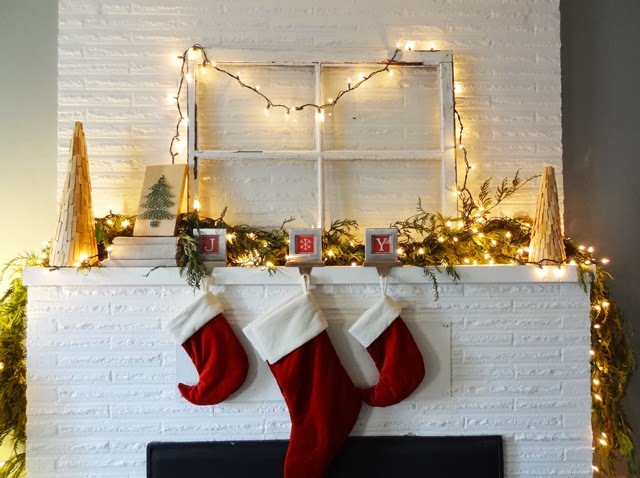 The following project is part of the Jo-Ann Fabric and Craft Stores® Celebrate the Season campaign. I received compensation for this project; however, this is my personal, honest opinion based on my experience.